Since people first discovered gold in California in the 1800s, the search for the precious mineral has attracted a lot of people and even large mining corporations. According to the California Bureau of Land Management, the state is one of the largest producers of gold in the United States. 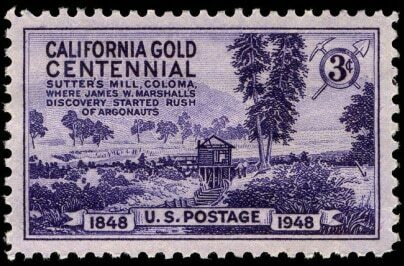 Because of that, California became one of the best states to pan and mine for gold. If you are planning a trip to California and do some recreational gold panning, you must know the regulations and methods on how to find gold in California the best way possible. The state of California has regulations when it comes to excavating gold in their lands. In order for you to do so, you must first file claim, which is proof that you have the right to do such an activity for a specific duration. Claims in California must be renewed annually and must be filed at the Bureau of Land Management. Fees apply for this process. Recreational miners who wish to pan for gold can do so in several non-prohibited and public areas in the state. There is also no permit needed for low-impact panning of gold. There are hundreds, if not thousands, of spots where you can pan for gold in California. It is even legal in most rivers and streams in the state. It is important in knowing how to find gold in California that you only go to places where gold has been previously discovered or the ones where people continually pan for gold in to increase your luck of getting some good minerals yourself. Northern California has the best spots for gold panning which includes the Marshall Gold Discovery State Historic Park, Auburn State Recreation Area, Malakoff Diggins State Park and the Tahoe National Forest. In Central California, you may want to take your chances at the most popular gold panning spots at Millerton Lake State Recreation Area and San Joaquin River Gorge. There are also gold panning spots in Southern California but your options are trimmed down. You can pan for gold in the Red Rock Canyon State Park. There was a time a recreational miner found 14-ounce of gold nuggets in this area. Most of the gold panning sites in California are located in state parks and streams which means that this kind of outdoor hobby will not cost you that much. State parks have very minimal entrance fee ranging from $5 to $10 per car. That is a very small price in return for some precious gold nuggets you may find. If you are a first-timer or a newbie in the world of gold panning and you want to pan for gold in a day or two, then there is no need for you to invest in special or professional equipment to get started. All you need is a shovel and a gold pan, preferably with a deep base. To make your trip much easier and even increase your chances of bringing home some gold nuggets, you might also consider bringing some gear other recreational miners bring when panning for gold such as a strainer, a container where you will put your hard-earned gold, tweezers, waterproof boots to protect your feet and a folding chair in case there is nothing to sit on at the gold spot. These things are not part of the basic tools, but they make the process so much better. It is important that you observe how other people pan for gold so you can easily do it yourself. Panning is quite an easy thing to do that even small kids can quickly learn how to do it. Panners may have different methods of finding gold with their pans but they work to achieve just two same goals. This video will show you how to find and pan for gold. First, after getting a desired amount of dirt to the pan, get the heavy particles and minerals including gold at the bottom of the pan by shaking it carefully. You may use a strainer to easily get rid of the large particles like rocks and leave only the smaller particles. Shaking the pan removes the light particles such as sand and soil. Second goal is gently removing and washing off the top surface of the dirt to expose only the particles at the bottom. After such, you can already see if there are gold nuggets and even smaller gold particles mixed with other particles in your pan.